Bruntsfield Chiropractic Clinic is situated in the heart of Edinburgh – just a 10 minute walk from the south-side of the city centre. With a wealth of chiropractic experience, we offer a hands-on, common sense approach to the diagnosis, treatment and management of neuro-musculo-skeletal conditions and pain by means of spinal and joint manipulation, soft tissue work and rehabilitative exercise. We aim to achieve effective results and a return to health for our patients and are proud to say that most of our patients come from word of mouth referrals. Originally from Cape Town, Richard has been setted in the UK for more than 20 years. He arrived in Scotland in 2000, having graduated from the Anglo-European College of Chiropractic (AECC), Bournemouth following 5 years’ full-time study. 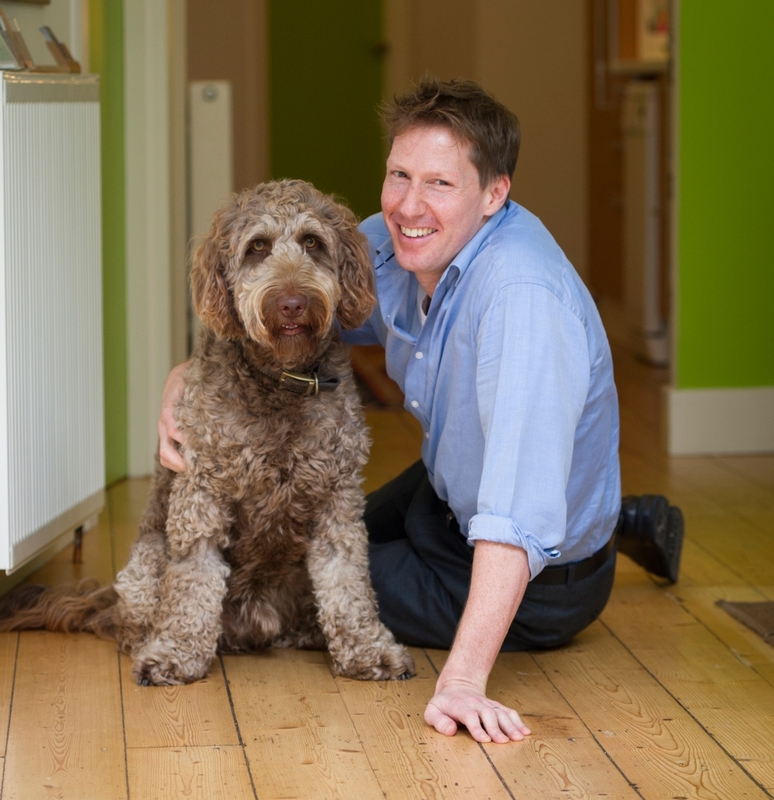 After working as an associate chiropractor in well-established practices in Melrose, Scottish Borders and Haymarket, Edinburgh; he set up the Bruntsfield Chiropractic Clinic in 2010. I am 86, had a spine graft (bone from leg to spine) when I was 16 and ever since have needed a good man to keep my back working, always going to those with the highest reputation. Over the seventy years I have had many of them, moves either by me or them giving an average ‘life’ of about 5 years. I have now been with Richard for six years and do hope he will see me out. He is in my mind without doubt the best I have come across. His techniques are less invasive than most, no frightening moments or wrenches, he always seems to find the current problem and his hands are reassuring, highly competent and always seem to find the points where attention is needed and gently correct whatever is wrong. My back has suffered from the strain on the rest of it of having four vertebrae solidly locked together and after 70 years the strains are beginning to tell. Richard has not only managed to keep everything working and in place he has managed to make my back much stronger and more reliable than I had thought possible. He has a holistic approach to health that recognises the benefits of other alternative therapies and thanks to him I am certainly enjoying my old age much more than I had thought possible. And, it’s not only my back. He helps my arthritic fingers and the workings of my replacement ankle that has never quite been right and does a lot to help the problems in my shoulders. I feel I benefit considerably from his experience in handling sports and other injuries. I recommend his services without reservation to anyone who needs chiropractic or related help. R ichard truly possesses a rich gift. His ability to diagnose a problem and his exceptional knowledge of the body ensures his healing hands deliver long lasting results. He has has treated and healed my back both when I have had acute back ache and he also does maintenance on my back. I have no idea how I would maintain good back health without Richard. A must for anyone who cares about their health! O n recommendation of a friend I arranged a consultation with Dr. Gassert. The initial consultation was extremely thorough with a detailed history taken. After a further treatment session it was decided that it would be necessary to have an x-ray examination to discover the underlying cause. This was arranged at a local clinic. The results allowed for a course of treatment to be decided although the unusual combination of the underlying causes meant that there was a degree of experimentation with the treatment. Dr. Gassert has always made this clear and that the long term aim would be to stabilise the situation. Treatment sessions have been weekly or fortnightly and he has advised on safe exercise routines for the gym and pool. This has led to a reduction in the number of acute episodes experienced over the last year or so and allowed me to again enjoy visits to Museum, theatre, concert hall and cinema with reduced discomfort. Dr. Gassert has always been meticulous with recording my symptoms and his treatment of them and has never offered me exaggerated promises for the end result. I would not hesitate to recommend Dr. Gassert to anyone suffering from back, neck or limb pain. I have been attending regular chiropractic sessions with Richard Gassert for several years and have enjoyed a positive impact on the quality of my sleep, my physical wellbeing and my sporting activities. I highly recommend Bruntsfield Chiropractic Clinic. I have been a regular patient of Richard’s and have had amazing pain relief as a result of various problems through the gentle and precise adjustments to re-alignm my bones. A professional and friendly service! R ichard is an excellent chiropractor. His professional skills are complimented by a friendly considerate and gentle manner. He has successfully treated me for a variety of problems over the years. I have referred numerous friends and family members to him and I highly recommend him to to anyone suffering from muscular-skeletal problems or pain. A fter a serious car accident in which I broke my hip and leg, I suffered sporadic episodes of pain for years’ afterwards. I was fobbed off by specialist doctors who said that as my X-rays were normal – I should not be experiencing any pain! A friend recommended Dr Gassert. He listened to me, treated me for trapped nerves and I have never suffered that pain again. I am so thankful that he could help and have recommended him to family and friends. I was at my wit’s end suffering from Plantar Fasciitis. I had tried physiotherapy, cortisone injections and shock wave therapy. All to no avail. The doctor treating me wanted to operate to cut the fascia. As a last resort a friend recommended Richard. I wish I had discovered him sooner. Richard healed my problem and I have had no recurrence and I am back running. R ICHARD IS AMAZING!!!!! I HAVE BEEN TO SEE HIM MANY TIMES AND HE HAS FIXED MY BACK EVERYTIME! IF YOU’RE LOOKING FOR A GOOD CHIRO THEN LOOK NO FURTHER! I have been seeing Richard for several years and have nothing but praise for him. He is always very thorough, never assumes that what is wrong is just the same as the last visit and makes me feel that he has all the time in the world to understand and help me. I like the way he explains things and makes lots of easy to follow suggestions about what I can do to help myself. I wouldn’t go to see anybody else and I always feel better coming out than I did going in, which says it all really. In the event that an X-ray or other imaging may be indicated and you wish to proceed, we will make a recommendation and a referral to your G.P. or other local provider, depending on what suits you best. We accept all major debit and credit cards. Payment is due on the day of your appointment. Please let us know if you require a written receipt of your payment. Chiropractic care is covered by most private health insurance providers. We may deal with your insurer directly, where we have a prior arrangement in place with them. Bruntsfield Counselling and Psychotherapy is run by Leanne Gassert. Pat Boyd, with a special interest in biomechanics, offers services from the Clinic on Wednesday mornings. Phil Mack and his team offer physiotherapy services from the Clinic on Tuesdays and Thursdays (with evening appointments).